All Kitchen Counters in pre-polished Granite/ Marble Stone. Perimeter Security and Entrance lobby Security with CCTV cameras. 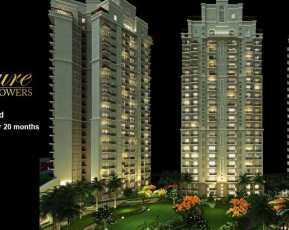 ATS Pristine is a superb residential property that is upcoming project in Noida. This property has been made to give you a great modern day lifestyle. The luxury apartments come in with all kinds of luxury amenities. 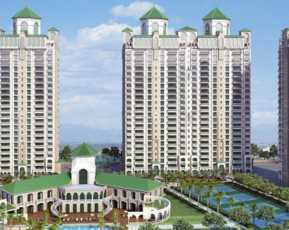 This beautiful property is coming up at a beautiful location of Noida. Noida is a great city with plenty of infrastructural amenities and commercialization. The city is growing at a fast pace and a lot of corporate are coming to set up their base here. The property is spread across 18 acres of land area and has a superb R.C.C. structure. 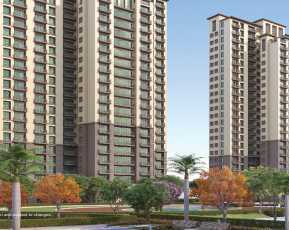 The properties come in the configuration of 3 and 4 BHK. 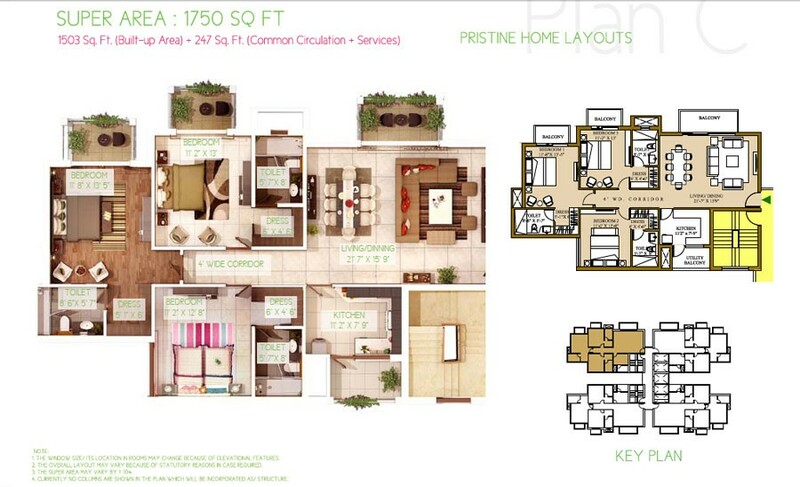 The residential size of the apartments is 1202 sq. ft. to 4500 sq. ft. of area. The property will be ready for possession by December 2017. This is an exclusive development that is coming up with all kinds of modern amenities. The apartments are made to perfection and are fitted with high-end furnishings. There are provisions made for AC’s in bedrooms, living, family and dining room. The best quality vitrified tiles have been fitted in the living, family and dining room with flush doors, main doors and SS brass furnished hardware. The windows have been made with aluminium panels with MS railings. The balconies and the windows are made wide with ample light and air flowing through. The houses will give you the feel of true luxury and comforts. Swift elevators, efficient power back up of 24 hours, and a tight security with CCTV surveillance has made living very comfortable. 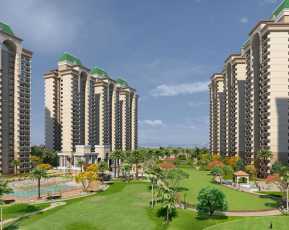 The property is located at Noida Expressway in Noida. 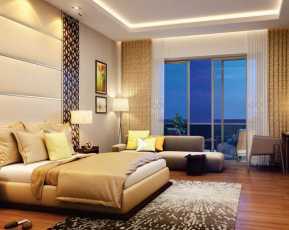 Residential property in Sector 150 Noida is one of the most convenient locations that have plenty of commercial utilities around. The best of the schools, hospitals, parks, restaurants, hotels, pubs, bars, multiplexes, shopping malls, etc. are developed within the reach of this property. ATS Pristine Price the starting price of this property is Rs. 1.38. Lakhs and the upper price of the property is Rs. 6.crores. The property is well supported with friendly payment policies offering EMI. Based on 7 recommendations Would you recommend this Property?